National Youth Orchestra of Wales return to St. David’s Hall. Following the success of their 70th anniversary celebrations last year, the National Youth Orchestra of Wales return to St David’s Hall on Saturday 5 August. 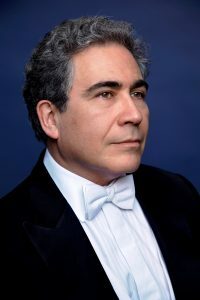 The world’s oldest national youth orchestra will once again be joined by the internationally renowned Carlo Rizzi, who conducts a wonderful programme of music that showcases the incredible talent of the NYOW members. Featured in this captivating concert at 7.30pm is two masterful pieces from Strauss, Britten’s beautiful Four Seas Interludes from the opera Peter Grimes and Debussy’s dramatic La Mer. Earlier in the day at 1pm in the L3 Lounge, the National Youth Orchestra of Wales Young Composers perform an exciting concert, and you can see some of the finest emerging Welsh musical talent for only £5! Now in its fifth year, the NYOW Young Composers have created brand new pieces to be performed by chamber ensembles of NYOW players with guidance from Mark Bowden (former BBC National Orchestra of Wales Composer-in-Residence). Plus, if you book for the evening performance, you’ll be able to book for the afternoon concert half-price! Tickets are £14 (plus an optional £1 postage fee). Friends of St David’s Hall, claimants, over 60s and disabled people (plus one companion) are all £2 off each ticket. Tickets for the NYOW Young Composers concert are £5, and are available for just £2.50 if an evening performance is booked.